That is it! 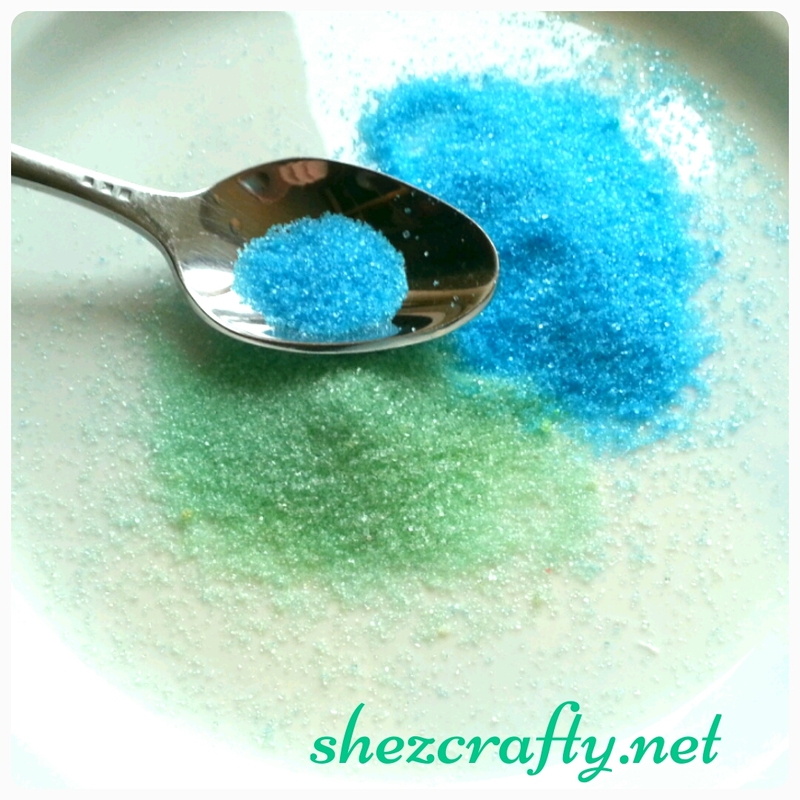 Put about a 1/4 cup sugar in a baggie and a drop off food coloring. Close the bag and mix and/or shake tell mixed. If you want a darker color add more you will need to let it dry a while. Pour out on a plate to dry.